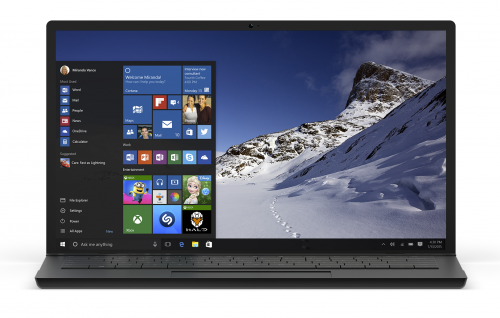 Microsoft today put the many rumors regarding the public launch date of Windows 10 to rest. Windows Operating System Group chief, Terry Myerson announced today that Redmond’s next generation operating system platform will be available globally on July 29th, 2015. Microsoft would like users to reserve their copy of Windows 10 via the “Get Windows 10 App”. Once reserved, Windows 10 will automatically download to the users device when available. Users will also be able to cancel their reservation at any time. Once reserved, a user will be notified when the upgrade is available as well as set a convenient install time. Get Windows 10 is an app that’s designed to make the upgrade process easy. It checks to make sure your device is compatible, and it reserves your free upgrade; it also has information to help you learn about the features in Windows 10. For devices running Windows 7 SP1 or Windows 8.1 Update with Windows Update enabled, the app shows up automatically as a Windows icon in your system tray at the bottom right-hand side of your screen. More details on the Windows 10 update process can be found on Microsoft’s Windows 10 FAQ & Tips website. Microsoft has not yet released an official update fee for users who are on older versions of Windows. The current build of the technical preview, Build10130, is actually usable as a daily driver. Over the next 60 days MSFT will focus on polishing the experience as well resolving any existing bugs. You should be aware that unlike previous versions of Windows, Windows 10 will be in a constant state of updates. That’s another reason to update. Win8, and Win10 know if you are on a metered account ‘via Storage Sense’. Thus if you are using “bundles” the download will NOT happen, unless you force it to. If you loved Win7, then you’ll will be very familiar on Win10.